Motorcycle accident victims often face more serious injuries greater scrutiny in accident cases. A Prince George's County motorcycle accident lawyer understands the challenges faced by motorcyclists when confronted by an emergency and the long medical recoveries. Most motorists do not understand the challenges a motorcyclist faces when confronted with a dangerous situation on the road. A Prince George’s County motorcycle accident lawyer helped a motorcyclist recover after . . . The motorcyclist makes a lane change to enter an exit lane from the highway. He begins to slow down and the car that was behind the motorcyclist is now next to the motorcyclist. At this moment he sees an abandoned vehicle stopped in the exit lane, next to a concrete barrier. He applies his brakes as aggressively as he can. He looks to down at his front tire to make sure that he doesn’t grip the front brake too hard or the bike will flip. A witness thinks the motorcyclist is not paying attention because he is looking down. The motorcycle driver looks to see if there is room for him to make a lane change. The other cars are too close and he would need to release the brakes to steer. He can either crash into the car or lay the bike down. He crashes into the car breaks his knee and ankle and flies past the car only to land in the right through lane. Unable to move he hopes traffic is able to stop. The motorcyclist was accused of racing when he entered the highway because another motorcyclist on a sports bike was close by. The other driver assumed they knew each other and thought they were driving too fast. Another witness thought the motorcyclist was not paying attention because he was looking down as he applied his brakes instead of forward. The insurance company gleefully denied the claim. They had the backing of an independent witness and were denying an unsympathetic motorcyclist’s injury claim. Motorcycle accident lawyer, George Patterson helped this client recover after another lawyer fired the client when his claim was denied.  If you need help from a motorcycle accident lawyer call Patterson Law to speak with a Top 100 Maryland Super Lawyer and a Client’s Choice Motorcycle Accident Lawyer award recipient.  Call 301-383-1522 for a free motorcycle accident consultation with a Top 100 Maryland Super Lawyer and a Board Certified Civil Trial Attorney. Patterson Law is located in Prince George’s County, Maryland. The motorcycle accident victim had his father immediately take photographs of the scene and the skid marks. Another friend stopped at the scene and took a photograph of where his body landed in the roadway. An accident reconstructionist was able to match the length of the skid marks, the location of the car to a google earth image capable of being precisely measured. The accident reconstructionist showed that the driver was not speeding, applied the brakes within a normal reaction time and did not have sufficient time to bring his motorcycle to a stop. The insurance company rejected these findings and relied on the independent witness testimony. They hired their own accident reconstructionist who to their surprise largely confirmed the findings. The insurance company still denied the claim and argued at trial that the motorcyclist was at fault for not avoiding the car. The motorcyclist was awarded more money than the insurance policy for the driver of the car that abandoned his car in a travel lane when it had a flat tire. This is just one example of many cases where our motorcycle accident lawyers have successfully fought through insurance company denials. Please call motorcycle accident lawyer, George Patterson to schedule a free consultation at his Prince George’s County office. Motorcycles are subject to different insurance requirements and often are unfairly blamed for accidents. Prince George’s County, Motorcycle accident lawyer, George Patterson has handled dozens of motorcycle accidents. Motorcycle accidents and car accidents may be caused by the same violations of the rules of the road, but motorcycle accidents create several unique issues. First, most motorcycle insurance policies do not provide personal injury protection or (“PIP”). PIP is available in most car accident cases and pays for at least $2,500 of medical treatment without having to prove who was at fault for the accident. Bowie, Motorcycle accident lawyer, George Patterson can guide you through the process of obtaining quality medical care for your injuries even if you do not have health insurance or personal injury protection. In all motor vehicle accident cases your lawyer needs to establish that the other driver was at fault. In motorcycle accident cases, the other driver often failed to see the motorcycle before the accident. The driver is then forced to admit that he failed to see a motorcycle that was there to be seen or allege that the motorcycle driver was speeding, made an unsafe lane change or failed to have his lights on. These allegations may be difficult to disprove and will require an experienced motorcycle accident lawyer to refute the allegations. Motorcyclists tend to have different and more severe injuries than those in car accidents. Most motorcycle accident victims suffer road rash. The road rash may lead to cosmetic damage and scarring necessitating the services of a plastic surgeon. A motorcycle accident lawyer can arrange for an estimate from a plastic surgeon to surgically improve the scarring left from road rash. The road rash may also have damaged a tattoo. Motorcycle accident lawyer, George Patterson has successfully recovered monetary damages for a tattoo damaged in a motorcycle accident. These are all damages that an experienced motorcycle accident lawyer can help you recover. Head injuries are also common in motorcycle accidents. A traumatic brain injury or concussion often occurs in motorcycle accidents even if a helmet was worn. Football players suffer concussions in games while wearing helmets and the forces in those games are often far less than the forces in a motorcycle accident. If you have been involved in a motorcycle accident and are suffering from any signs of a concussion it is important that you are seen by a neurologist. Most people involved in severe motorcycle accidents are taken to the emergency room or shock trauma center and given a CT scan of the brain. Medical experts in court, routinely explain to juries that CT scans of the brain are not designed to rule out a concussion but to rule out more serious conditions such as swelling of the brain or a bleed in the brain. These experts explain that a normal CT scan of the brain after a motorcycle accident does not mean that the motorcyclist did not suffer a concussion. Neurologists offer treatment and important medical guidance to those that have suffered concussions or traumatic brain injuries. The motorcycle accident lawyers at Patterson Law have represented motorcycle accident victims that have suffered serious head injuries, broken bones and permanent scarring. Fractures that often require immediate surgery are seen in motorcycle accidents. Fractures to the wrists, forearms, tibia, fibula, pelvis, ribs and femur are not uncommon in motorcycle accidents. Many of these fractures require the insertion of pins and rods. Insurance companies will often not compensate these as permanent injuries without medical opinions being properly documented and obtained. An experienced motorcycle accident lawyer can make sure that your treating doctors or independent experts document the full extent of your injuries. Please call Prince George’s County motorcycle accident lawyer, George Patterson at 301-383-1522 to schedule a free consultation. Patterson Law is located near the intersection of Route 301 and Route 50 in Prince George’s County, Maryland. Motorcyclists follow additional driving rules and utilize different driving techniques that are often misinterpreted by other motorists. I retained Mr. Patterson on behalf of my father after he was seriously injured in a motorcycle accident that was not his fault. Our experience with him could not have been better. He exceeded our expectations in every way. He was not only concerned with the case, but showed genuine concern for our well-being. He made himself available and always thoroughly explained things to us through every step of the process. He did a great job, and while the whole situation was very hard on us, working with him was a great experience. I would recommend him without reservation to anyone in a similar situation. 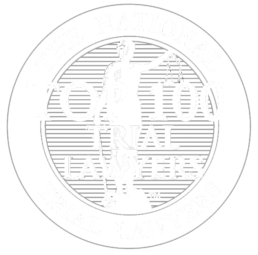 The National Trial Lawyers: Top 100 is an invitation-only organization composed of the premier trial lawyers from each state or region who meet stringent qualifications as civil plaintiff trial lawyers. Selection is based on a thorough multi-phase objective and uniformly applied process which includes peer nominations combined with third-party research. 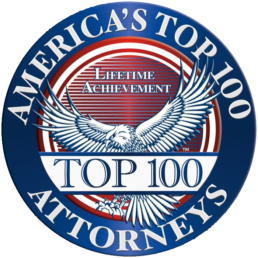 Membership is extended only to the select few of the most qualified attorneys from each state or region who demonstrate superior qualifications of leadership, reputation, influence, stature and public profile measured by objective and uniformly applied standards in compliance with state bar and national Rule 4-7.